The ubiquitin system has emerged as a crucial regulator of many, if not all, biological processes. 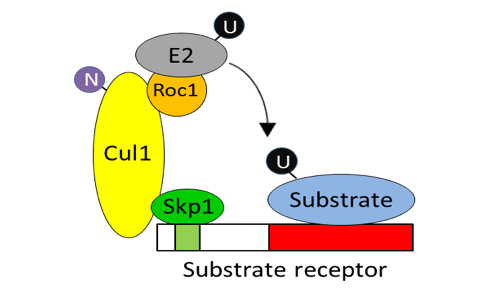 It consists of an unknown (~600) number of ubiquitin ligases that recognise specific substrates to trigger their subsequent ubiquitination. Given its importance and exquisite specificity, the ubiquitin system represents a very attractive target for viral manipulation. We are interested in understanding how viruses engage with such system and how they exploit, or inhibit, cellular ubiquitin ligases to their benefit. Such studies will provide key insights into the virus-host interplay and are likely to identify novel anti-viral therapeutic interventions.